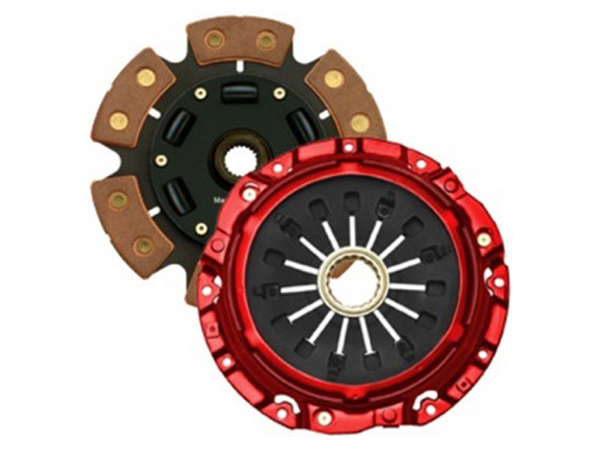 Our new 6 button “E-Z Lock Pro” sprung hub clutch disc that will take your sport compact to new levels of performance. It allows you to attain maximum performance from your clutch package during race, or even while you wait for your burger at the drive-thru. The exclusive sprung hub design uses thick-walled retainers that form a pocket around the springs, resulting in less vibration and more consistent launches. The assembly also includes an extra middle retainer and special rivets that create a stronger, safer, and more reliable hub. All of these features, combined with the “E-Z Lock Pro” 6 button disc, equal an outstanding street-strip racing clutch that will withstand intense power.